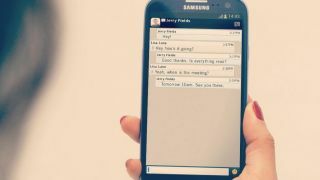 BlackBerry has been quite open about its long-running messaging service, BBM, coming to Android and iOS this summer, although it has held back on giving us an exact date. But in an interview with IBN Live, BlackBerry India's managing director, Sunil Lalvani, might have given us a date for the diary. Or a slightly less vague one than we already had, at least. "The service is coming to Android this summer. But summer as per North America, where it remains till September," he said. When he was then prodded further to clarify whether this means it will be out before the end of September, his responsive was allegedly "in the affirmative". If we're honest, we expected "summer" to be more of a July/August affair but we're sure we can manage to wait an extra month if need be. No word on iOS, but we'd take a guess and say it will land pretty close, if not exactly on the Android release. A previous tweet from T-Mobile had claimed that BBM would hit both platforms on June 27, before BlackBerry said it was nonsense. And would you look at that - it's July 19. Nonsense indeed.